Definition of Entitlements: A government program that guarantees and provides benefits to a particular group. Definition of Rights: that which is due to anyone by just claim, legal guarantees, moral principles, etc. It seems as though many in America believe that these are one and the same, but in fact, they are not. Many of you know that I study and teach axiology - the science of human value and value judgments. Axiology provides a logical structure for valuing and has 3 classes or dimensions of value into which everything can fall. The least valuable (mathematically) is systemic. Systemic value involves mental constructs and things that only exist in our minds. They are intangible like rules, policies, plans, ideas and expectations. Examples are a circle, the speed limit, a marketing plan, a law, a regulation. Infinitely more valuable than the systemic is the Extrinsic. Extrinsic value involves tangible things. So, when a plan is implemented and something is created that's extrinsic. When a law is enforced and action is taken that 'doing' is extrinsic in nature. Infinitely more valuable than the extrinsic is the Intrinsic dimension of value. Intrinsic value and valuation is around the infinitely valuable. Examples are one of a kind, incomparable things... i.e. human beings, freedom, compassion, community. Why do I mention these classes of value? Because when we as human beings transpose one type of value onto an item in another class it can be dangerous. That is what seems to be happening with rights and entitlements. Rights are intrinsic while entitlements are systemic!! Many are being told that their entitlements are their rights. Rights are inalienable; entitlements are imposed. They are transposing the highest form of value (intrinsic) onto something that is systemic and a member of the lowest class of value. That is exactly what is happening when our government, the media, and others transpose systemic value to "rights". We are devaluing HUMAN BEINGS. The above seem to be true rights and freedoms. (You may notice a little influence from FDR in this second list.) Can you see the difference between the first list and the second? You see, the first list is about freedom from systemic governing bodies. It is about rights which are not conferred on man by man and cannot be denied by to man by man. Rights are inalienable and divinely bestowed. The Founding Fathers of the US were trying to curtail government intervention into human lives when they wrote the Declaration of Independence, Bill of Rights and Constitution. The second list is about entitlements. Entitlements are 'governmentally' bestowed by taking from others and giving to some. The government can not give away "protection against unemployment", "a standard of living", "education", "security" unless it takes away something from others. The (systemic) government doesn't have these things without the (intrinsic) human beings. If we continue to view the government as the answer, we will continue to devalue the human beings that make up this fantastic country. If we truly believe what are President said earlier this year at George Mason University that "It is true that we cannot depend on government alone to create jobs or long-term growth. But at this particular moment, only government can provide the short-term boost necessary to lift us from a recession this deep and severe." then we are believing that the idea of a circle is more valuable than a human being. If we believe that the laws and rules of government are the answer, WE are devaluing the very things that this country was created for... life, liberty and the pursuit of happiness. A few days ago on April 15, 2009, thousands and thousands of people in the United States had a "tea party" in cities all around the country. Some said TEA was an acronym for Taxed Enough Already. The basic message was one of great skepticism about the government's remedies to the current economic "crisis". Sure, there were extremists out there, but most of the folks I know who participated were just your "normal" Americans... hard-working, family-oriented, community-minded people who are shocked at the government's response. They see that this our federal government is utilizing the financial strategies from Bernie Madoff and that somehow we can borrow our way out of debt. The US citizens see themselves as the victims of a ponzie scheme far bigger than Bernie could ever imagine. But I have a message to all of the party-goers and protesters... protest, cry out, have your voices be heard and then PLEASE, PLEASE go out and SUCCEED anyway. Despite the wrongdoings you rise up against, be innovative, persistent, courageous and principled in adding value to the world. YOU ARE NOT VICTIMS! 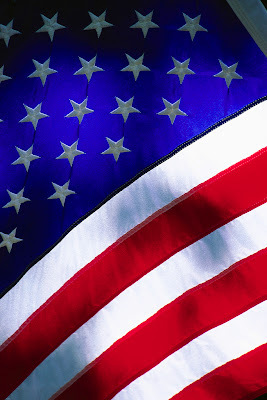 You are Americans and still amongst the freest human beings on this planet. Remember that former first lady, Eleanor Roosevelt once said, "No one can make you feel inferior without your permission." In the same vain, no one can make you feel like a victim without your permission. Oh sure, you can be victimized, but you don't have to feel like a victim. Much in the same way that you can fail and not be or feel like a failure. You have been heard, now utilize your energy to become successful. Add value to this earth by solving problems and finding opportunities. As long as you are free, you can find them! and you can conquer these challenges. Continue to protect liberty by going out and creating jobs for your neighbors - you can do that by understanding what people need most and delivering it to them. Sure, I believe our conditions could be better, but instead of just protesting, let's make sure we DO something about it. As I've written before, we could be freer. However, that just means that we can't waste the incredible gift of freedom that we do have. We must keep moving forward! So, to you tea partiers and protesters, please don't allow your emotions to derail you... don't allow circumstances to discourage you. Keep standing up for what you believe but don't let it consume you. Go out and be the best you that you can possibly be and build something, create something of value. Don't just point out the problems, become the solutions. In life, change is either created by you or happens to you. Yet, your response to change is ALWAYS your choice. So the majority of the time, do you affect change or does change affect you? 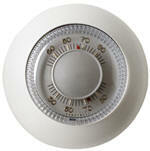 Are you typically a thermostat or a thermometer? Thermostats set the temperature of the environment while thermometers react to the environment. As a leader, which best describes you most of the time? Are you mostly in control and being the thermostat? Are you allowing your boss, your circumstances or even your followers to set the temperature on your thermometer? There are some leaders who don't want to 'rock the boat'. They spend most of their time polling their team members and their management. They are interested in pleasing others. If you were sitting next to them in church, you might over hear them talk to the person on their left who say, "Boy, it's cold in here today," "It sure is", would be their response. The person on their right might then turn and whisper to them, "My, my, it's warm in here today." They would respond by saying, "It sure is." These leaders respond as thermometers. Someone, something, or some expectation is setting the temperature for them. Some are cold and distant because of circumstances and they choose to be closed and fearful. Others are hot and blistering because they believe that their circumstances warrant their anger and ire. Living as a thermometer can leave you feeling frustrated, distant, or overwhelmed because your mind tells you that you "must", you "have to", you "need to" respond to the changing temperature in your life. What are the things that you believe that you "have to" do? (Go to work? Pick up the kids? Go to church? Do the laundry?) If your habit is to feel obligated and your mind gives you thoughts that you "have to", "should", or "must", you are a thermometer to your own thinking habits. These are just thought habits, however, that have been created in your mind which you are choosing to respond to and believe. To read more, go to http://www.breakfreeconsulting.com/newsletter/200904-thermometer.htm. Let's change the standard definition of P.C. To many people here in the US, P.C. means 'political correctness'. Personally, I don't believe there is anything political or correct about it. I mean, if we call a turd a flower, does it really make it a flower? Correctness means having the properties of being correct. And being correct means that it is 'right' or 'free from error or fault; true or accurate'. Yet, somehow when we pull these two words together we get something totally different. The American Heritage Dictionary defines the 2 words together as 'avoidance of expressions or actions that can be perceived to exclude or marginalize or insult people who are socially disadvantaged or discriminated against'. Huh? From the first two definitions, being politically correct would mean governing by what is right, accurate and true. I don't see anywhere in those definitions where political or correctness means that no one ever in this world should ever be even marginally offended or insulted. Being P.C. really means 'Patronizing Censorship'. It really tells people that they are inferior because they can't handle someone's opinion of them. So, we should reword or censor all of our statements in a manner that doesn't hurt their feelings. Really? Are we Americans a bunch of spineless babies who can't handle someone talking negatively about us any more? Must we truly limit our freedom of speech because someone chooses to be offended by them? P.C. causes us to treat each other like 'Purposeless Caricatures'. It makes us somehow feel like we aren't real live people with hearts, minds, and souls. Instead we are aimless pawns that need 'their' rules, policies and procedures so that we might properly navigate the game board of life. Most of all, PC translates to 'Paralyzes Communication'. It limits our freedom of speech and keeps us from fully expressing ourselves. Following the rules of P.C. tells us that our thoughts, ideas, and opinions don't matter unless they fit into 'their' Prescribed Conditions. And when our thoughts, ideas and opinions don't matter, our humanness doesn't matter. I say we redefine this acronym! Let's have P.C. 's definition be 'Personal Choice'. Let's allow ourselves to have the freedom of speech that the First Amendment guarantees. Our founding fathers and many others have DIED for this right. Now, our society has somehow made it the standard, or should I say, made it politically correct, for this right to be taken away from us. "It's not what you are called, but what you answer to that matters!!" When someones says something negative, derogatory or demeaning about your race, gender, sexual orientation, religion, class, geography or ecology, it does NOT have to become YOUR reality. YOU control your destiny. If one door is closed to you, find a way to open it or go find or make another door. You have the Power to Choose! If each one of us truly and deeply believed that, there would be no need for Political Correctness which Paralyzes Communication and isolates us, and dare I say, segregates us one from another. In fact, no one can make you feel anything without your permission... no one can make your feel offended without your permission. No one can make you feel humiliated without your permission. No one can make you feel victimized without your permission. While we may not choose our circumstances... We DO choose our reactions to our circumstances. That is what differentiates us from every other living creature on the planet. Even in the most tragic of conditions, we can choose our response. That is what makes us human. Political Correctness leads us to believe that we don't have that ability. Political Correctness perpetuates FEAR. The only way to overcome it is through LOVE. You CAN love people and still be politically incorrect. These 2 things are NOT mutually exclusive although 'they' (the promoters of political correctness) would like you to think so. Let's work to bring the different cultures, different religions, and different people of this great nation together!! Let's stop the divisiveness of Political Correctness. Let's not allow the very characteristics that makes us great to tear us apart. Let's get rid of political correctness and replace it with Principled Constitution, Practical Confidence and Personal Choice. That, my friends, will allow us to overcome this fabricated fear and live together in liberty and love. Freedom... is there anything more powerful? In the USAToday this morning, there was a poll asking what adults say is their idea of the American Dream. The results? It appears that freedom is at the top of the list. Freedom to accomplish and freedom to speak. What's also interesting is that the next two items are financial and these items also require freedom in order to be attained. I believe that men and women of this earth can solve or overcome any crisis or challenge as long as they are FREE. There is no greater power on this planet than a human being that is free to dream, create and be. Freedom, however, includes the freedom to fail. Our current government (both political parties) seems to want to eliminate failure and corruption. By doing this, they will also eliminate our freedom and our ability as human beings to learn, adapt and grow into our full potential. For instance, yesterday, did smokers in the US, with the additional sixty-two cent tax on a pack of cigarettes, gain or lose freedom? Regardless of their choice to continue smoking and pay the tax or quit smoking and not pay the tax, they lost some of their freedom to choose because of the new law. They are not simply free to make the same decision they did the day before without new consequences. If your freedoms start to disappear, if you are no longer free to succeed or fail, your potential is being limited and you will become retarded in your growth. Oh sure, you will have naysayers who will tell you that freedom breeds corruption - just look at our current financial situation. However, it didn't happen because of freedom, it happened when others took freedom away. When the US government (again, both political parties), steps in and tells its citizens that they are entitled to own a home even if they can't afford it, the government has taken away the freedom of the new homeowner. Ask any one of them that are now struggling to hold on to their unearned home... do they own the house or does the house own them? Although there is just one letter difference between owe and own... the gap is bridged by freedom. When you owe, you have less freedom. When you own, you have more. There is a HUGE difference between being owed a home (entitled) and owning a home (deeded or titled). We need to make sure that the "n" is at the end of "ow" and not the beginning of "titled" because THAT IS FREEDOM. The greatest travesty bestowed upon the poor of this nation, particularly the African Americans, is the welfare and entitlement systems and mentality. This country, no, the world, would be far greater than it is today if the poor in this country would've been told about their freedom instead of told the falsehood of what some others owe them. The wealth of this nation, dare I say the world, is ONLY created by people who are FREE! I want to encourage everyone regardless of their political affiliation, race, gender, orientation, or status to preserve and fight for freedom. It is not about who has more. It IS about YOUR ability and freedom , if you so choose, to create more. The more a government takes from ANYONE, the fewer resources and freedom the people have to grow wealth and prosper as human beings. When this happens the whole world loses.